Everybody Wins! DC as the beneficiary of their Nickels for Nonprofits program. Until September 29th, bring recyclable bags when you shop at Whole Foods and you will earn 5 cents per bag that can be donated to support Everybody Wins! DC! 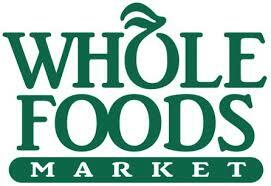 Nickels for Nonprofits is a wonderful program sponsored by Whole Foods that benefits the local community. The nickels add up to valuable programmatic dollars, making a real difference in our Power Lunch and StoryTime programs!